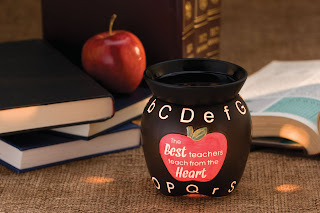 Scentsy has created a mid-size warmer specifically for teachers, called the ABCs warmer. It features the alphabet in white on black (like a blackboard), is apple-shaped, and has an inset apple that reads "The Best teachers teach from the Heart". The alphabet lights up when the warmer is turned on. 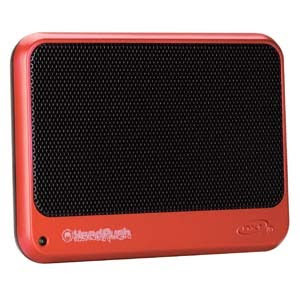 Also of interest to teachers will be the Sunshine Kids full-size warmer, which is a fundraiser for the Sunshine Kids Foundation. 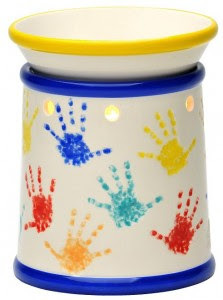 All net profits from the sale of this warmer will be donated to the Sunshine Kids Foundation. Scentsy wickless candles are a safe alternative to traditional scented candles. The beautiful ceramic warmer houses a low-watt light bulb that slowly melts the fragrant Scentsy bar and fills your space with one of more than 80 great, long-lasting scents. Because there is no flame, Scentsy is safer than a candle. It won't burn you, your children or pets, or start fires the way candles can. And there's no smoke or soot to breathe.